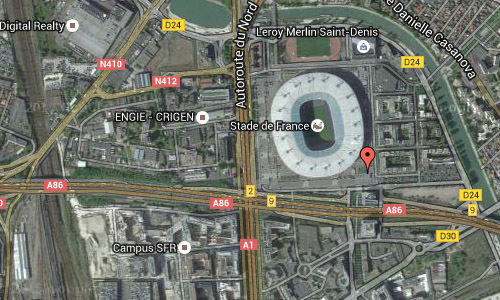 The Stade de France is the national stadium of France, situated just north of Paris in the commune of Saint-Denis. 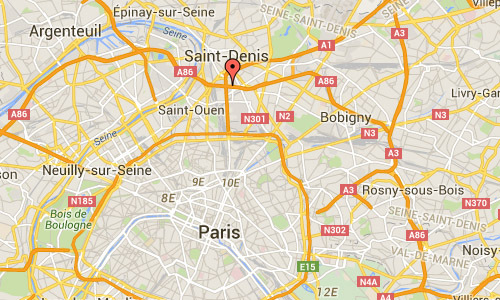 It is located at Avenue Jules Rimet and Rue Henri Delaunay. Its seating capacity of 81,338 makes it the fifth-largest stadium in Europe. 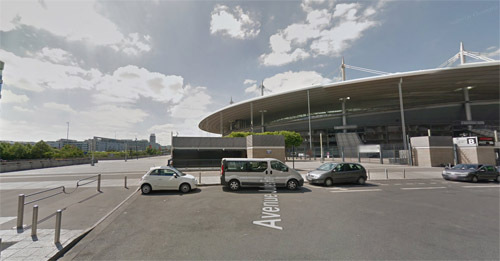 The stadium is used by both the France national football team and French rugby union team for international competition. Originally built for the 1998 FIFA World Cup, the stadium’s name was recommended by Michel Platini, head of the organising committee. On 12 July 1998, France defeated Brazil 3–0 in the 1998 FIFA World Cup Final contested at the stadium. In 2002, the International Association for Bridge and Structural Engineering (IABC) awarded a prize recognizing the unique structure of the Stade de France commenting that the Stade de France exhibited “a construction of an attractive open architecture of the city, with an elegance and natural lightness”. 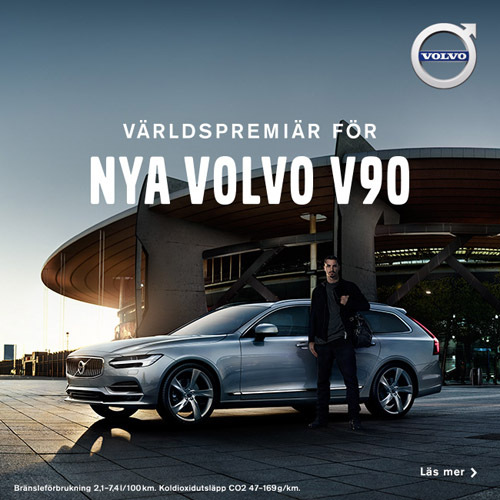 More information at www.stadefrance.com, en.wikipedia.org and www.media.volvocars.com.